Here come the girls yadda yadda yadda. I mean, here comes another generic OTT chick flick. But if you go in with the right temperament, it’s actually quite watchable, if ridiculous and a lot funnier than I anticipated. Hardly perfect. But with a lovely set of leading ladies who are game for a laugh, it just about gets away with it. If you haven’t seen the trailer; firstly you’re lucky. Secondly, the gist is that after discovering her boyfriend is married, Carly (Diaz) soon meets the wife (Leslie Mann) he’s been betraying. And when yet another love affair is discovered, all three women team up to plot revenge on the three-timing S.O.B. A slightly different take on it all. We follow Diaz falling in love with the charismatic Nikolaj Coster-Waldau, or Jamie Lannister to the majority. I can’t believe he was in this after Game of Thrones. Some will see it as a different turn from the actor, others a massive step down. The moment in which Carly finds out he is married is still entertaining, despite being flogged in the trailers. You can feel for both Mann and Diaz and their cringey first encounter makes for humourous viewing. Cameron Diaz has proved before she’s game for a laugh and plays the straighter role and plays it well. However, the scene stealer is Leslie Mann. She has proven time and time again to be a talented and funny actress. Her introduction into the movie did come off very irritating at first. Her running commentary was annoying and highly unfunny. However, once she meets Diaz, she steals the show. In one scene, she is able to play a remarkable drunk. I’m still convinced she was actually drunk. The next scene you see this vulnerable woman who is battling to come to terms with the fact her marriage is over. She soon grows on you and you do feel for her. I mean the film could have gone down a more serious route, but I felt for most of the film, the balance worked. I mean it does get more ridiculous as the film carries on it’s running length, especially by it’s shattering climax, shall I say. Crazy. But it’s that sort of film, it’s silly, stupid but at least its fun. I mean the introduction of Kate Upton wasn’t really needed. I felt Mann and Diaz were a decent pairing and worked well off each other. However, Upton doesn’t do a bad job, as far as model debutantes go. She plays the airhead to her strengths and her slow motion bikini clad beach run was a fitting tribute to Bo Derek in 10. Surprisingly, she brings another angle. The trio work well together and manage to make silly jokes come off a lot funnier than they should be. Plus they’re not bad on the eye either. What? Ladies you got Lannister and Taylor Kinney (Chicago Fire) as Kate (Mann)’s brother. Coster-Waldau plays the arrogant cheater very well. I mean, come on he is Jamie Lannister. The pranks and reconnaissance on him are silly but entertaining. It was surprising to see Nicki Minaj play a normal role. Looking lovely. What? Shame her acting left a little to be desired. I mean I knew she was robotic when she rapped but I didn’t realise she spoke like one?! Don Johnson (old James Crockett from Miami Vice)’s appearance was unexpected. He plays Carly’s crazy player of a father quite well. It was never going to win plaudits. Nick Cassavetes’ directing efforts have always surprised me. The fact he can go from John Q to The Notebook still baffles me. 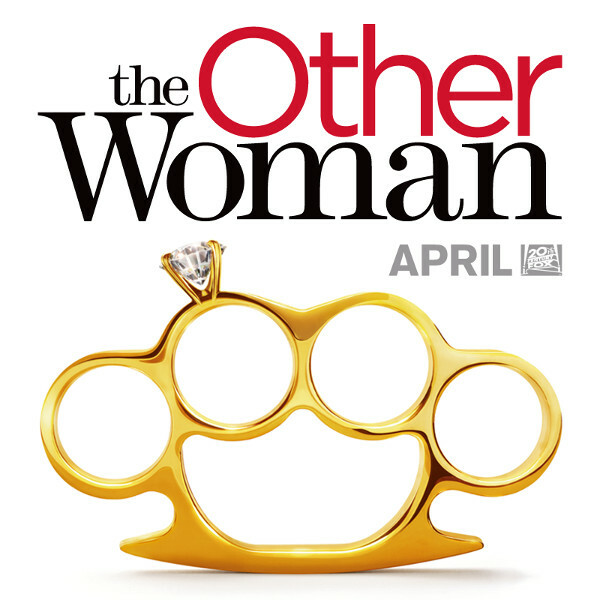 Some will see it as another lazy chick flick that goes for lazy gags. I mean scenes involving a badly behaved devil dog will split people. I didn’t know a certain moment with Diaz and the dog was not planned and unscripted. Brilliant. At it’s best, a well acted fun film. At it’s worst, thanks to the finale, ridiculous and predictably corny. If you love these sort of films, then give it a go. If you don’t, then this won’t change your views. But if you can take them with a pinch of salt, then give it a go. I’ve seen a lot worse this year. 3 (just) out of 5! Currently ranks #123 out of 172! Enough silly animation to entertain the little ‘uns. 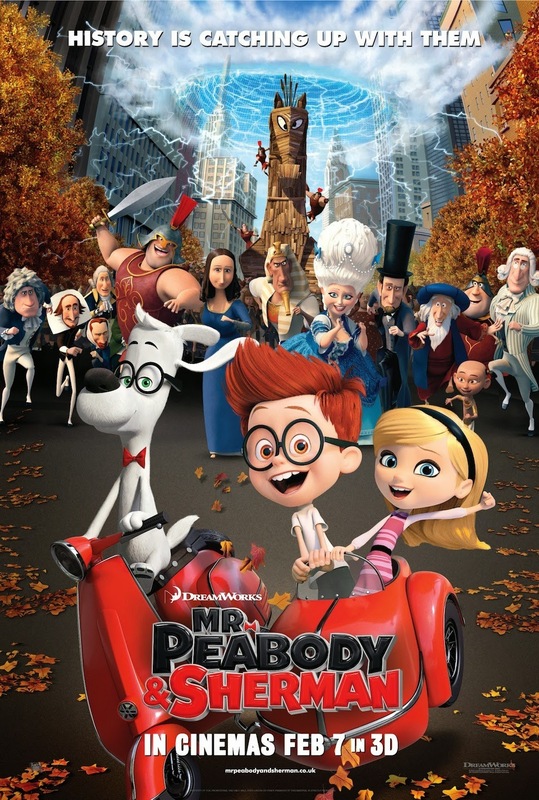 A watchable and colourful sequel that failed to beat the original but just about got away with it. 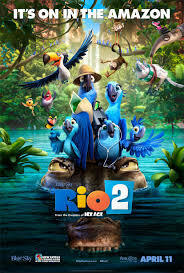 Here we join Blu (Jesse Eisenberg) and Jewel (Anne Hathaway), now complete with three loveable kids, as they trade the frantic festival city life of Rio de Janeiro for the wilds of the Amazon. 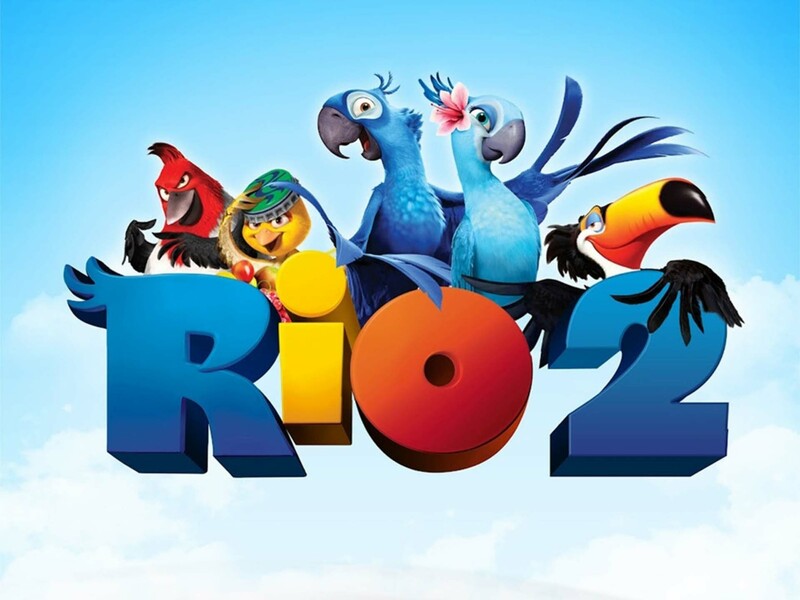 As Blu tries to fit in, he goes beak-to-beak with the vengeful Nigel (Jermaine Clement), and meets his most fearsome adversary of all: his father-in-law, Eduardo (Andy Garcia). The animation was brilliantly detailed and very colourful; providing luscious landscapes which made for great viewing. The story was hardly original but with likeable characters, it just about got away with it as everyone can relate to feeling the outsider or having to face their parents-in-law-to-be. There was enough action, gags and musical numbers to keep the movie flapping along nicely. Miguel Ferrer (Hot Shots: Part Deux) played a highly unmemorable villain as the sinister logging constructor hell bent on destroying the natural Amazonian habitat. The real devil in this was the hilarious Jermaine Clement (Flight of the Conchords). Nigel stole the show from the “altered” Shakespearean soliloquies to his mad parody song numbers ripping off a number of movies. A shame that he wasn’t in it enough. It felt like he was forced into the subplot a little BUT luckily so. His crew of misfits brought the odd laugh; the hyperactive poisonous frog with verbal diarrhea, the appropriately named Gabi (brilliantly voiced by Pushing Daisies’ Kristin Chenoweth) and the Charlie Chaplinesque ant eater. Gabi’s infatuation with Nigel and “Poisonous Love”song number was funny, if incredibly corny. You can normally bank on Eisenberg to deliver as the neurotic worrier (A role I fear he might be getting typecast). His bumbling Blu (with fanny pack in tow) did grate against me in this second helping. Will.i.am was dope as the pop-pop-poppin’ Pedro. The talent show sequence being a particular highlight; from the slow-motion high-fiving tortoises, the wrecking ball swinging monkeys and a rapping Nicki-Minajesque sloth (Amy Heidemann from Karmin) that snoozes after dropping a rap that will have Busta Rhymes tipping his cap. Bruno Mars was brilliant as Jewel’s ultra-cool ex Roberto. His singing was decent (To be expected) and his vocal acting was actually pretty good as the lothario swooping in on Blu’s family. Andy Garcia was a surprise as the frustrated father-in-law. A nice change from the slimy slick roles we know and love him for. However, George Lopez’s Rafael and Tracy Morgan’s dribbling pitbull were pushed into the background. While the irritating Tulio (I can’t believe it was 300’s Rodrigo Santoro) was unfortunately in it too much with his incessant squawking and stupidity. Leslie Mann did her best with the limited screen time. R2 was cheesy and entertaining enough to keep the little ‘uns quiet for 90 minutes. If adults can get past the usual predictable guff then there’s just about enough to keep you giggling but hardly groundbreaking. Not the worst by a long shot but seen it a lot better. Enough fun to keep flight but hardly soaring high or flopping like a turkey. Enough avarian based punnery, you get the gist.